Mr. Ruben A. Minor has been inspiring audiences for over 20 years through speaking, life coaching, and facilitating workshops on Leadership and Personal and Professional Development! Many refer to him as the “Ambassador of Inspiration” as he inspires all to a “Legacy of Leadership,” and to simply “become unstoppable” in the pursuit of his or her dreams. 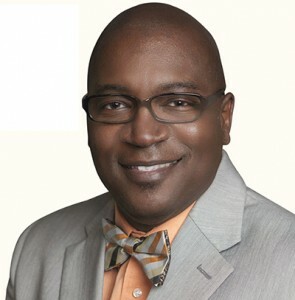 Mr. Minor has worked with local schools, such as Linden McKinley Middle School, Briggs High School, West High School, Northland Senior High School, Columbus Afrocentric High School, and Columbus Downtown. Professional clients include HBCU Connect, a social networking platform for Historical Black Colleges & Universities, several HBCU’s such as Howard, Texas Southern, North Carolina A&T, the University of Arkansas, and some Greek Fraternities such as Alpha Phi Alpha, Omega Psi Phi, Phi Beta Sigma, and Kappa Alpha Psi. Mr. Minor served for 15 years as a U. S. Navy Supply Corps Officer. He attended Ohio Dominican University as an adult student in their Lead Program and obtained his undergraduate degree in Business in May 2004 and completed his MBA in May 2006. Additionally, Mr. Minor is also a Certified John Maxwell, Speaker, Trainer & Coach. Mr. Minor is also active in his community as a local soccer coach with Upward Sports, and a worship leader at his local church, Vineyard Columbus. He enjoys singing, movies, history, and traveling. He resides in Galena, Ohio with his wife Davonna, and three children, David, Moriah and Rachel.